It's not the first time we publish NAS reviews of ASUS, NETGEAR and Thecus, both their desk and rack-mounted versions, made for home users or small to mid-sized companies. These brands are acknowledged leaders in producing networking equipment and their brand history extends back over years and years. However, today we'd like to tell our readers about OceanSpace S2600 SAN by HuaweiSymantec, a brand new company established by the two largest manufacturers of software and hardware, Huawei and Symantec. Although S2600 is considered as an entry level SAN, the way it's made and documented goes beyond praise. 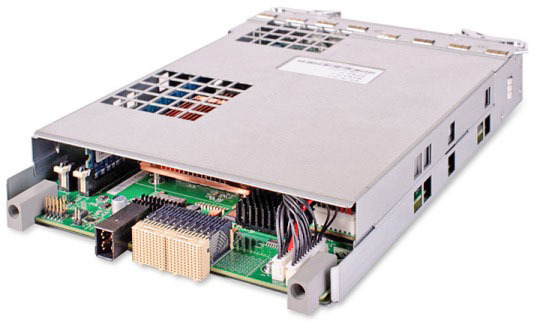 HuaweiSymantec Oceanspace S2600 is rack-mounted and has a size of 564x472x86 mm. 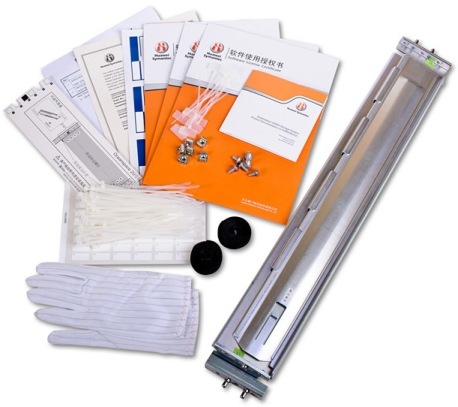 Together with the SAN itself there is a wide array of accessories in the box: guide books, software, license agreements, cable ties and optical fiber bundling tapes, gloves, stickers, slide bars, captive nuts and bolts and a set of cables. 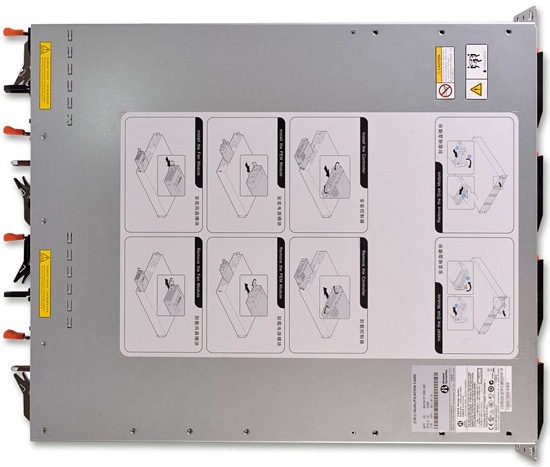 The device front panel has twelve disc bays and LEDs indicating the operability of the device and hard drives. It stands to mention that 0 to 3 discs are special (coffer ones), which means that even if the power supply of the device goes off, the power supply of the discs will be still on for saving all the necessary data like the device configuration, cache and so on. The upper panel is quite unremarkable and there is only a sticker with mounting instructions on it. Let's get on to the rear panel of the SAN. There are one or two control modules and two power plugs (one for each module) located there. There are a few versions of control modules which differ from each other in their data ports. In this case there were four Gigabit Ethernet ports for iSCSI connections. Moreover, there are network and console ports for out-of-band control of the SAN, the UPS jack, sunken reset button, sound on/off button, running lamps and a special extra disk enclosure mounting hole. All in all, the device can handle seven disk enclosures mounted. Now let's learn a few things about the hardware capabilities of the device. An S2600 SAN has modular structure and can be fitted with two control and fan units, as well as with two power units; the main parts are doubled in order to secure complete fault-tolerance. 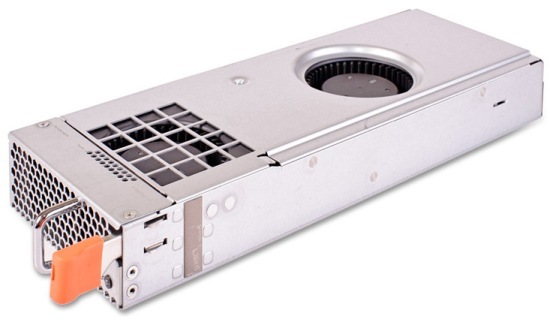 The fan unit looks more like a modern heavy-duty video adapter in a metal case with two fans. 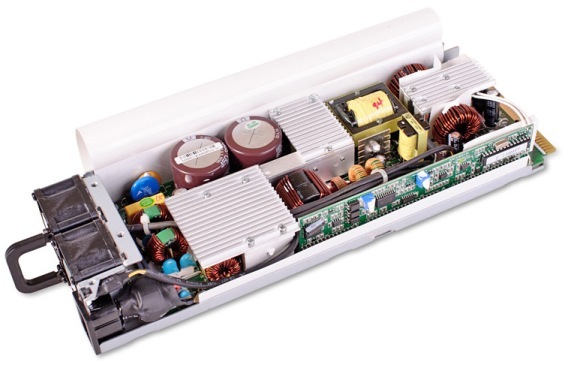 The power supply unit model AD701M12-2M1 is made by VAPEL company and has the same size as the fan unit and two fans with a size of 40x40x28 mm on the outer side. 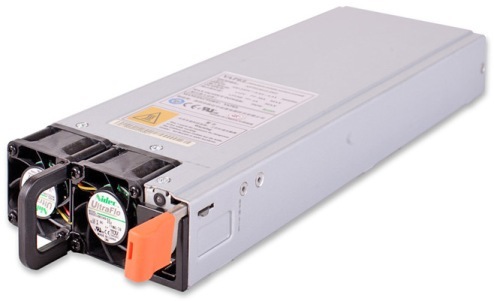 The maximum output capacity is 700W, even though according to the vendor the device doesn't need more than 340W to function properly. Now let's have a look at the insides of the control module which consists of several printed-wiring cards. 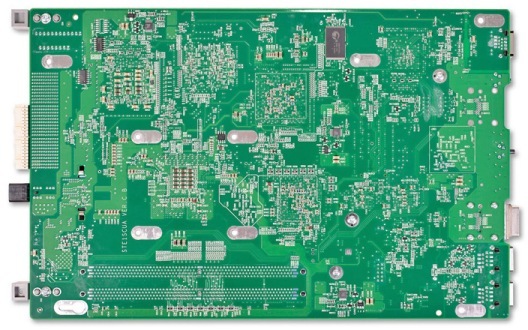 On the main STE1SCUA card there are two RAM slots, one of which has a PC2-5300E-555 RAMAXEL RML1531MH48D8F-667A module with the capacity 2 GBytes. The majority of the card elements are located on one of its sides, and only the Cypress CY62167DV30LL RAM slot is an exception. 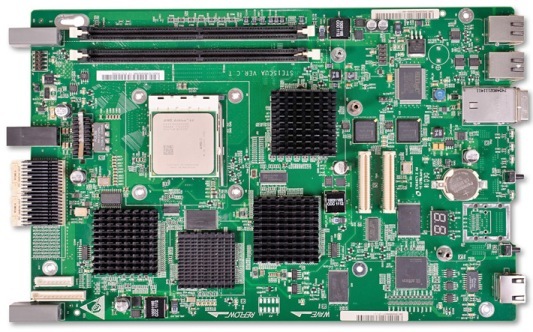 AMD Athlon 64 ADS3100IAR4DR in AM2 socket functions as the central processing unit. Four large chips are, unfortunately, covered with black fanless radiators. 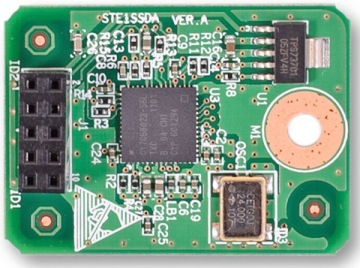 Also, there are two Spansion S29AL016D70TFI01 flash memory modules on the card, each having 2 MBytes capacity, two Fast Ethernet Intel 82551QM controllers, one Lattice LCMXO2280C FPGA and an SMSC LPC47S457 I/O controller. 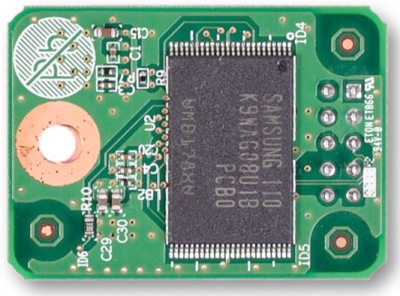 Samsung K9WAG08U1B flash memory module with 512 MBytes of memory capacity together with Cypress CY7C68023 controller are placed on a separate card. 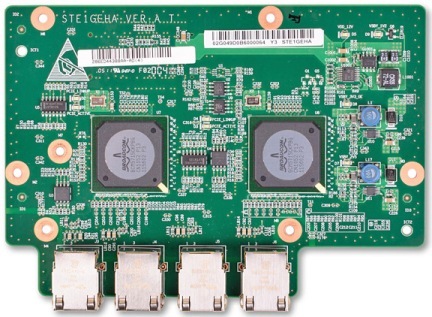 Four copper gigabit iSCSI ports are placed on a separate STE1GEHA card powered by two Broadcom BCM5715CKPBG chips. It looks like it's high time to tell you about the software now. An administrator can access the SAN web-interface typing in one of the two standard IP-addresses in their browser, 192.168.128.101 or 192.168.128.102. The former answers for the left control module, meanwhile the latter answers for the right one. 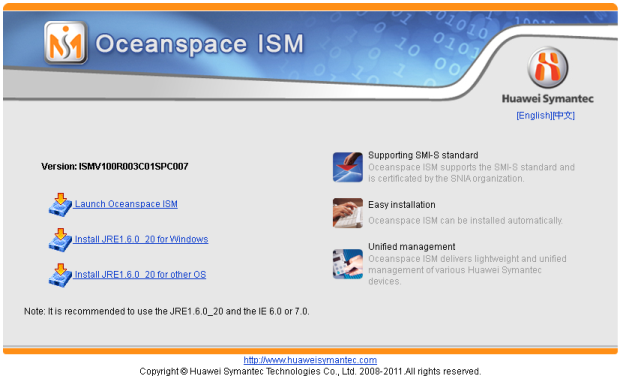 After entering the main page, an administrator has to install a special application called Oceanspace ISM in order to manage the device. Unfortunately, Oceanspace ISM is available only in Chinese and English. 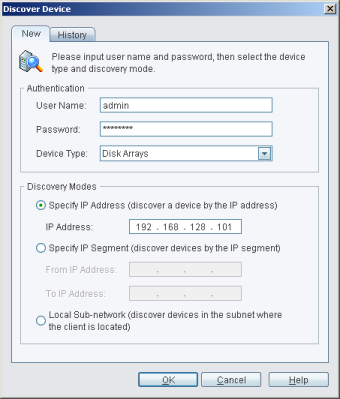 Straight after the HuaweiSymantec SAN control system is on, one has to check for the available devices by using Discovery Device menu item in System menu and entering their login and password there, as well as choosing the suitable discovery mode. By default, login and password are admin and 123456, correspondingly. As soon as the discovery process is finished and the S2600 appears in the device list at the left part of Oceanspace ISM, an administrator can get down to the managing activities. We will not look into all possible capabilities of the task management utility, but only pinpoint our attention upon its most remarkable features. Upon choosing the device group the program will show you brief information about the device. By using wizards in Configuration Assistant group an administrator can quickly perform some of the common SAN management tasks. System settings alteration, monitoring system management, firmware upgrade and import/export of settings, licenses and log files are made using sub-groups in Settings group. 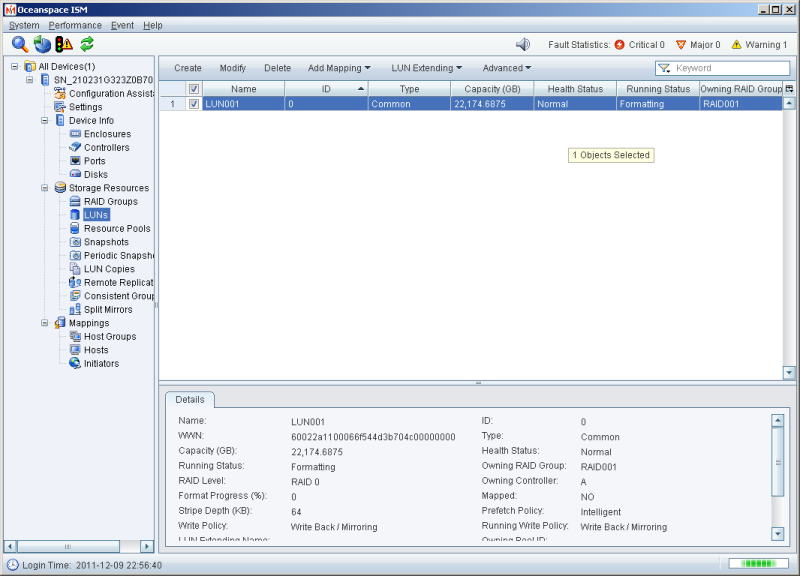 Since S2600 allows users to connect to it only using iSCSI protocol, Active Directory is not supported and there are only the local user/user rights bases used. 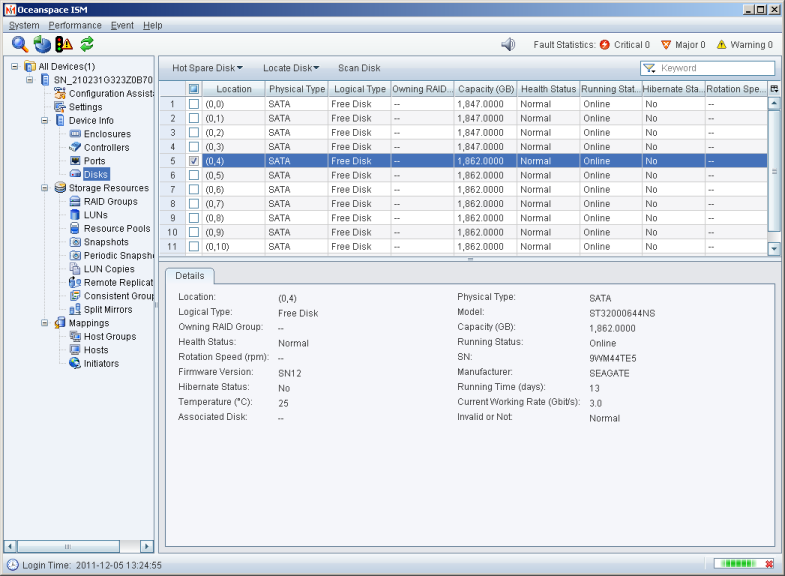 By using Device Info group and its sub-groups an administrator can receive status data on disks, power units, fan units, control and data ports. Storage Resources group is designed for managing newly-created RAID arrays and disk devices (LUN), creating resource pools and snapshots of the data stored, remote replication and LUN copying. Sub-groups of Mapping group are designed in order to map certain LUN to the corresponding hosts or their groups. Apart from all the capabilities stated above, Oceanspace ISM allows an administrator to carry out remote performance monitoring of varied SAN subsystems. In order to do this an administrator should use items in Performance menu, as well as control the reaction of system on appearance of this or that events (Events menu items). An administrator can learn all active tasks for performing in Task Management sub-group, System group. A brief review of Oceanspace ISM capabilities, a HuaweiSymantec control system, comes to a close. Let us now pass on to examination of the command line interface of the device. 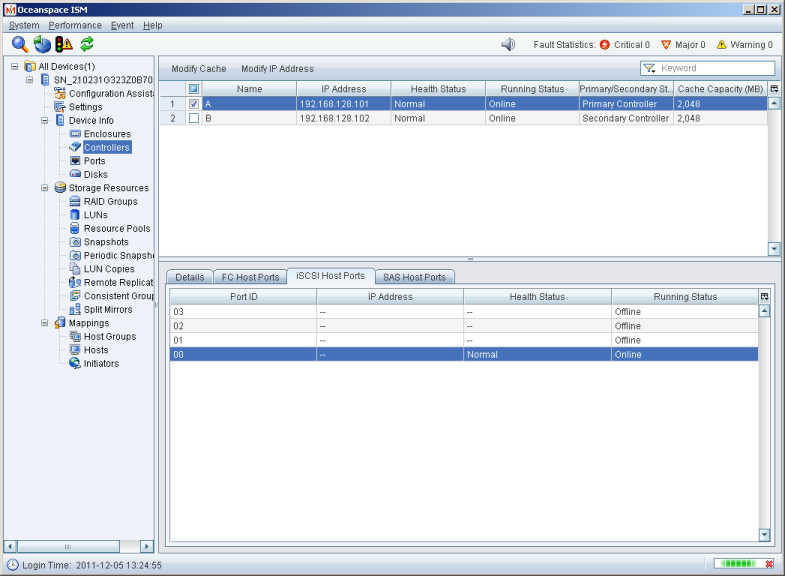 The command line of an S2600 is accessed using a console port or an SSH and a management port. We used PuTTY 0.6 utility to work with the CLI of the SAN. 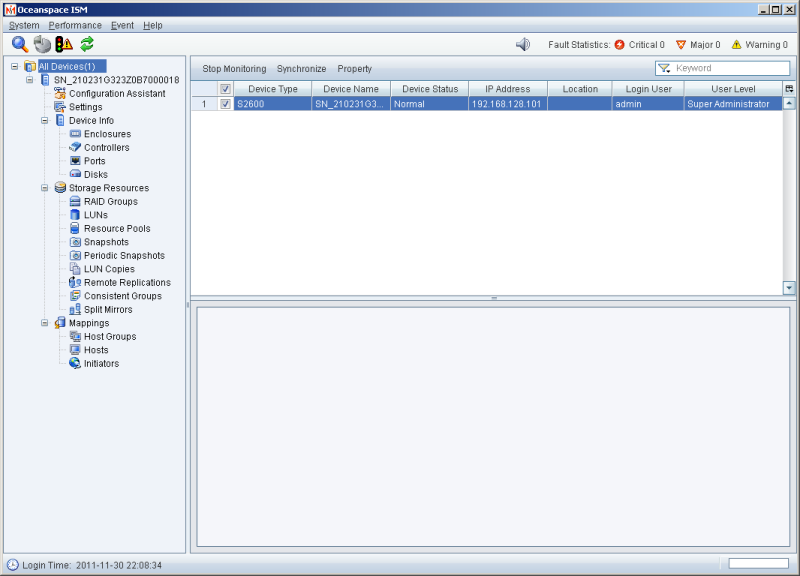 Upon entering the program asks a user for his login and password which are the same ones we used for ISM utility. After entering the correct account data an administrator will be shown a message with brief information about the device. Command line of an S2600 functions in three modes, and they are normal, safe or upgrading one, meanwhile the user is given one of the three access levels, Super administrator, Administrator or Read-only user. By quickly double-clicking Tab button CLI displays command tips according to several symbols entered. Using the command an administrator can look through and set Oceanspace preferences, manage the network storage and maintain its operability. All commands are divided onto six groups, and they are Basic, User Management, System Management, Device Management, Service Management and Alarm Management. We won't look into all capabilities of CLI of the device in detail since they repeat the capabilities of ISM utility, but nevertheless, we will show you some of them. For instance, in order to learn or alter the IP-address of the management port there are showctrlip and chgctrlip commands. Detailed information on each command is received by issuing help –c commandname command. The showctrlip command displays the IP address of the controller(s). Specifies the ID of the controller. The controller ID can be a or b. If c is not specified, the CLI reports on the IP addresses of all controllers. All rights reserved (C), 2008--2012 Huawei Symantec Technologies Co., Ltd. 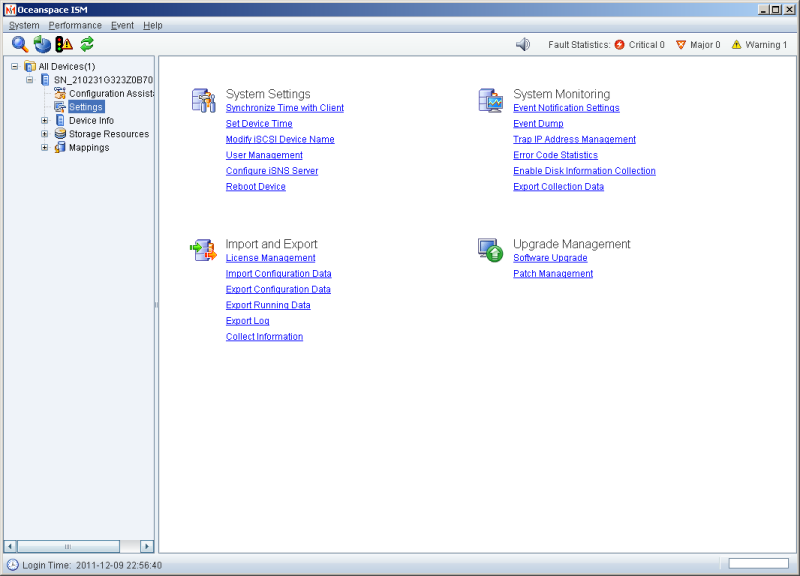 User management is made through issuing adduser, chgpasswd, resetpasswd, chguserlevel, deluser and showuser commands. Via issuing showsys, showsesversion, showmanufactory, showctrlinfo and showallver system commands one can get information on the vendor, model and the firmware version. Hardware management commands work with hard drives, drive arrays, optical transmitters, controllers, port modules and add-ons. Also, by issuing these commands one can receive all necessary information on temperature, voltage, power supply sources and batteries and fans. Service commands are used in order to manage discs and their arrays, LUN resources, LUN copying, virtual simultaneous snapshots and HyperClones, remote replication, cache, initiators and iSCSI targets and so on. 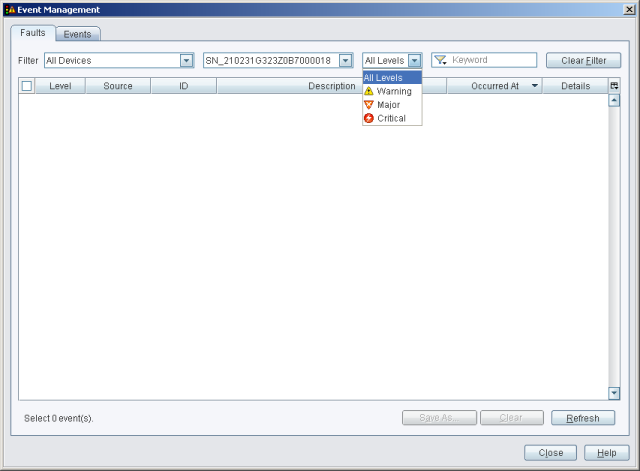 By issuing alarm commands, an administrator can set the system behaviour upon appearance of certain events, status alterations, or they can choose the alerting mode. As a matter of course, we couldn't help but tell you about the access to the command prompt interface via the console port. 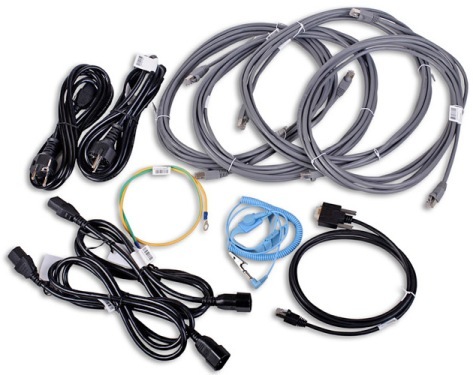 There is a special kind of cable that goes in the box, DB-9<->RJ-45, however it turns out to be a standard one so we managed to use several console cables for Cisco routers which are also included. Using the above-mentioned cable we took down all those messages which are being displayed upon entering Oceanspace S2600. Anyone willing to elaborately study boot.log are free to download it. 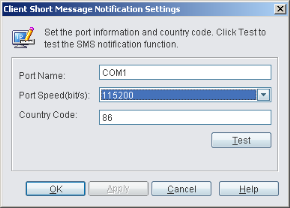 The first thing we traditionally begin our testing section with is estimating the booting time of the device, which is a time interval starting with the moment when the power is on until the first echo reply is received through ICMP protocol. HuaweiSymantec Oceanspace S2600 loads in 135 seconds, which as we consider, is a standard loading time for such kind of devices. The second phase was the security check of the device. 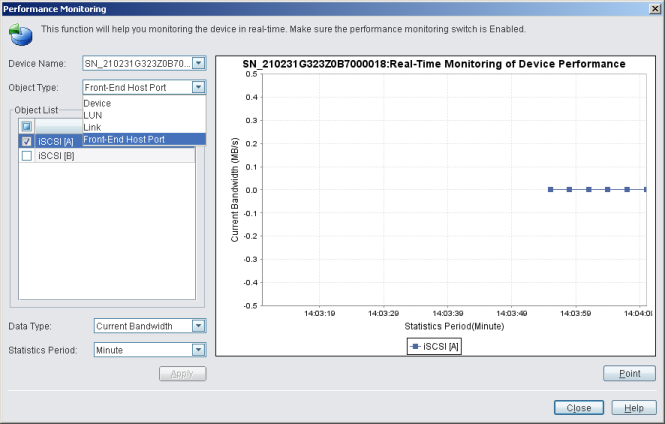 Since S2600 has two port types we have decided to carry out two independent checking procedures, each for its own connection (manageable and iSCSI data access ones). Using manageable interface we could detect twelve open ports, and they are TCP-22 (SSH), UDP-69 (TFTP), TCP-80 (HTTP), UDP-111 (RPC Unix PortMapper), TCP-427 (svrloc), TCP-2000 (callbook), TCP-5005 (blocked), TCP-5025 (unknown), TCP-5988 (HTTP), TCP-5989 (HTTP), TCP-19001 (unknown) and TCP-19002 (unknown). The most interesting data is presented below. Working with the iSCSI-interface we have also managed to detect twelve open ports, which are TCP-21 (FTP), UDP-69 (TFTP), TCP-111 (RPC Unix), UDP-111 (RPC Unix PortMapper), TCP-427 (svrloc), TCP-2000 (callbook), TCP-3260 (iscsi-target), TCP-5005 (blocked), TCP-5025 (unknown), TCP-5989 (HTTP), TCP-19001 (unknown) and TCP-19002 (unknown). As a matter of course, we do understand that the network storage in question is going to be located in a special segment of the net with strictly limited access, however the presence of any kind of vulnerabilities (even if they're alleged ones) does not stand to credit to a device of any kind. We have decided to get connected to a server using an FTP connection with the login and the password we used in order to enter to ISM. After having connected we managed to acquire access for read operations for the majority of files, meanwhile /OSM directory was even accessible for writing. The point of having open FTP and TFTP services in user ports turned out to be a mystery for us. Also, we were quite surprised by the lack of possibility to read/write the values using SNMP protocol and we believe that such kind of capability has to be present in this kind of devices by default. In all fairness it has to be added that an S2600 allows sending SNMP-trap on the oncoming events in the system, while the statistics on system resource utilization is available in OceanSpace application, which is meant for managing HuaweiSymantec S2600 network storages. 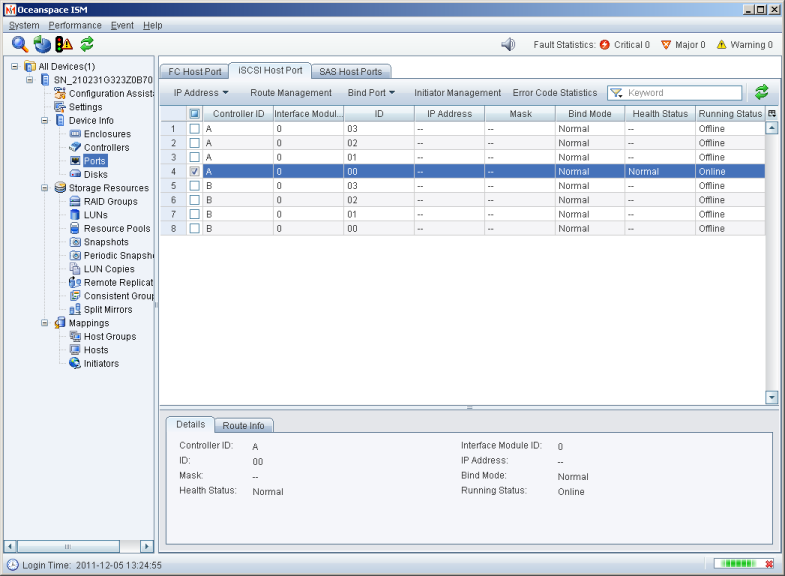 Prior to beginning the device performance testing procedure one must create a RAID array using RAID Groups sub-group, Storage Resources group. 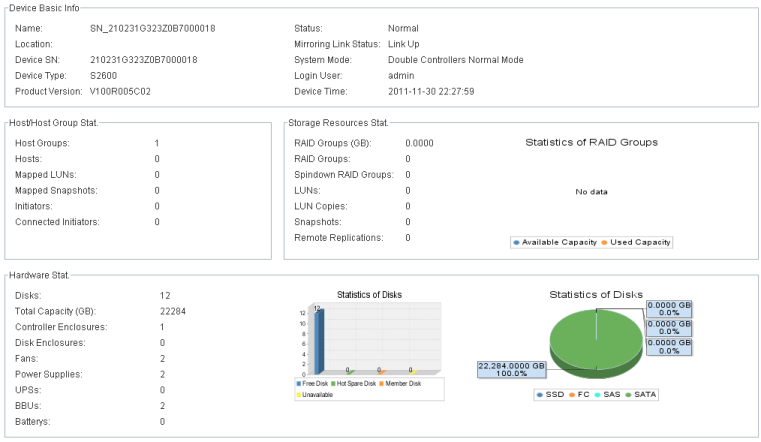 The types of RAID arrays supported are 0, 1, 3, 5, 6, 10 and 50. We will test each one of them later on and combine all the mounted hard drives into one RAID array. 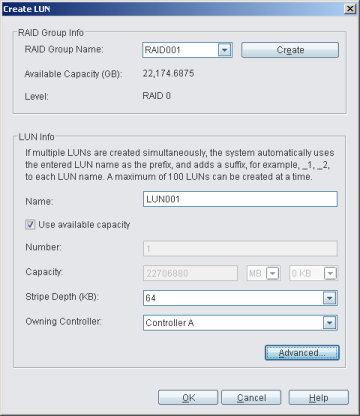 After creating an array one must also create a LUN using LUN sub-group of the same-named group. 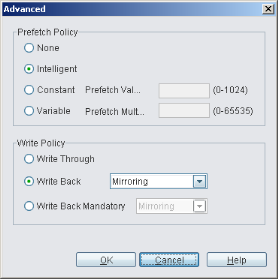 The prefetch and write policies are left unaltered. The formatting of the created space follows the creation of the LUN. This process may take quite a lot of time and solely depends on the array type and the LUN size. 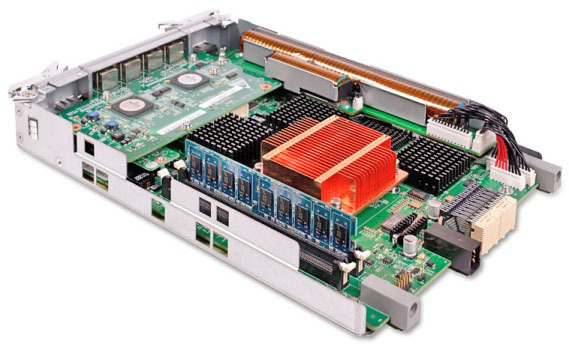 HuaweiSymantec S2600 can have two control modules functioning in active-active mode. 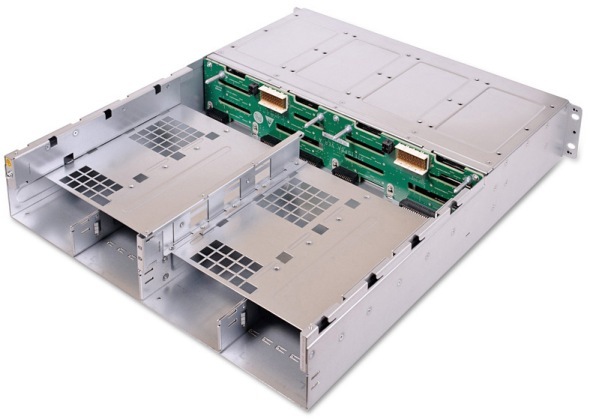 While using one-module configuration, an S2600 is having four Gigabit Ethernet ports for iSCSI connections, however there are eight of them in its two-module mode. 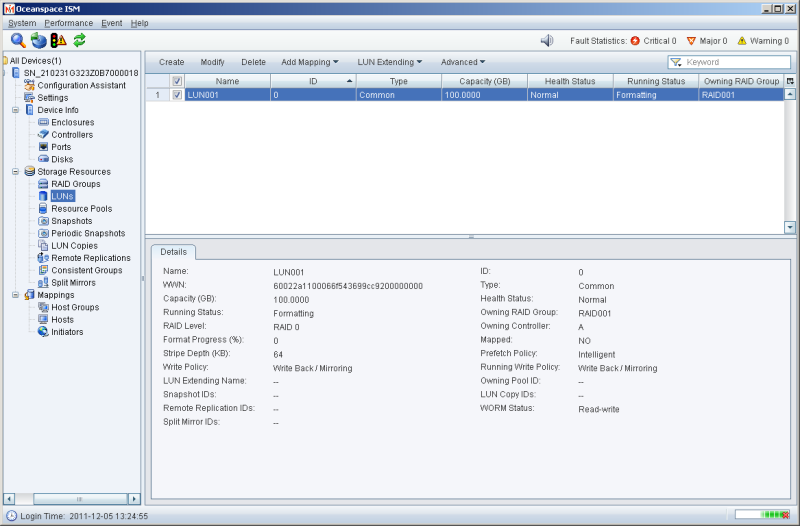 We decided to begin with using four connections to one module, created RAID0 array and formatted the hard disks to NTFS file system. We have been a bit dazzled by the results obtained; the data transfer rate didn't get higher than 2 Gbps, meaning that two GE connections will be enough. On the diagram below there is a comparison of the data access speed using Intel NASPT 1.7.1 utility with either two or four GE ports involved. As it's not difficult to notice from the diagram, there are no major changes after adding up any extra connections, so from now forth we will be making all calculations using only two GE ports. We have also believe that the results of the three tests, HDVideo_1Record Throughput, FileCopyToNAS Throughput and DirectoryCopyToNAS Throughput, are not adequate enough and that's the reason why we left them out of the diagram. The only exception are the two primary discrimination charts where we have been carrying out FileCopyToNAS Throughput and DirectoryCopyToNAS Throughput tests manually by copying the appropriate data from the virtual disc created in the RAM. We would also like to tell you a few more words on the test stand used. During the tests where Intel NASPT utility has been used we decided to follow Intel's recommendations and cut the available RAM size to 2 GBytes. It has been made using msconfig utility and we make this kind of RAM cutting to each storage, not only to the HuaweiSymantec S2600. By doing this one can acquire more adequate calculation results since it helps to cut the possibility of caching the data to a minimum, and sometimes even completely prevents it. Unfortunately, only the few of the Russia's online magazines take notice of such thought-to-be delicate and small things. 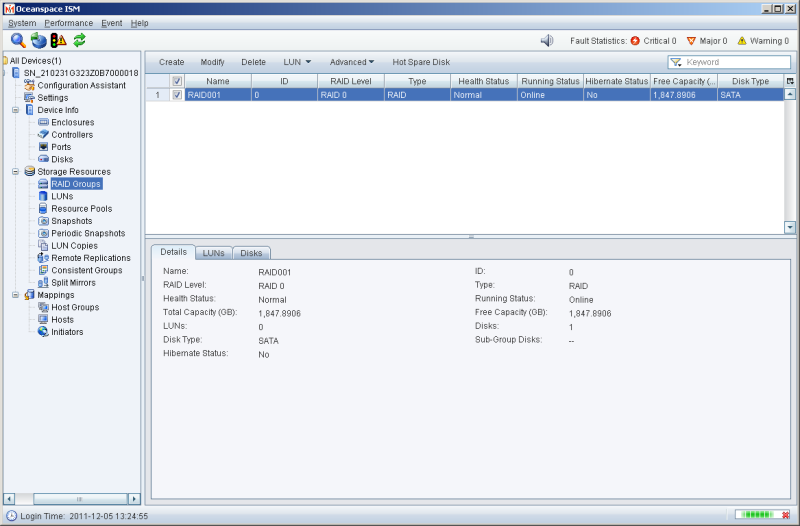 Simultaneous usage of several connections to the same iSCSI resource is possible upon using iSCSI Multipath technology which is available in Windows server operating systems. Apart from using iSCSI Multipath, administrators are granted HuaweiSymantec UltraPath utility which has quite similar functionality; however, for our tests we prefer using standard Multipath with the function of circular distribution of capacity onto the channels. 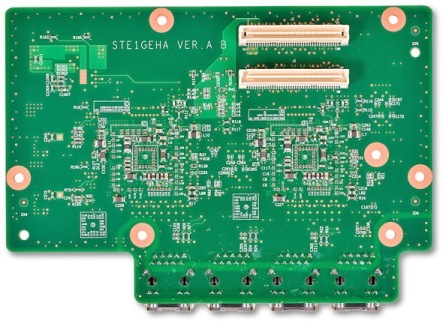 Since S2600 control modules can function in active-active mode, we have decided to get the connection distributed between controllers and we connected one cable to A controller, and the second to B controller. 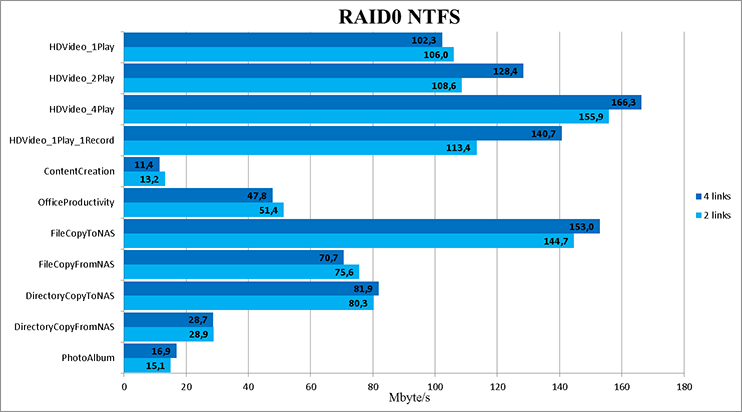 On the diagram below there is a comparison of data reading rates for either mode with one or two controllers and NTFS file system. IOmeter 2006.07.27 utility was used in order to carry out a reading testing of data units, each 32Kbytes in size. Using two controllers in active-active mode significantly increments the effective output, as well as it improves the system fault tolerance. Unfortunately, an S2600 doesn't have any built-in capabilities for hot backup of the whole device, but it's still possible to implement a semi-automatic scheme using additional network equipment. 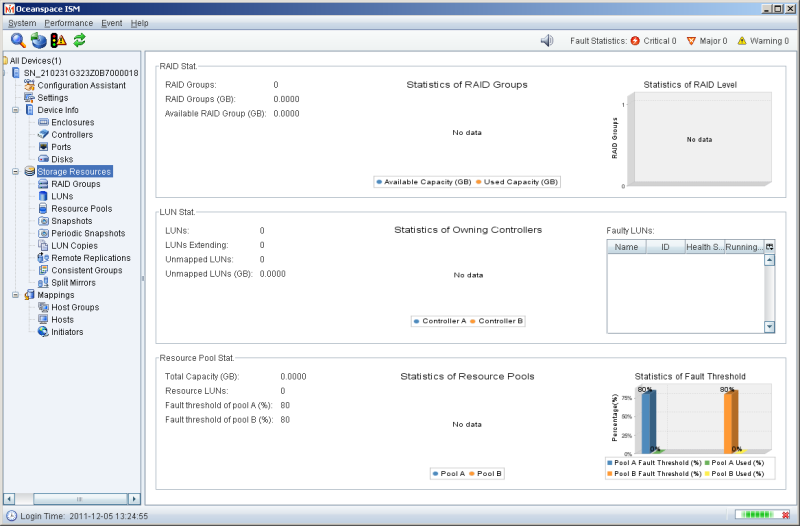 The rest of RAID arrays tests have been carried out by a two-way connection to one of the controllers using Intel NASPT utility, meaning that its capacity replicates various user applications. The access rates obtained do not let us say that Oceanspace S2600 is a particularly high-speed network storage. However, the HuaweiSymantec's engineers placed the primary emphasis on providing the reliability and fault tolerance of the device. That's where we bring the testing section to a close and go on to bottom-lining all of it. 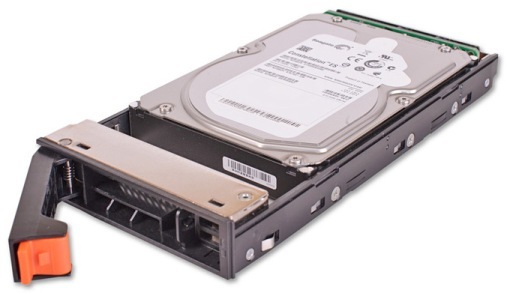 The HuaweiSymantec OceanSpace S2600 network storage tested is marketed as an entry-level SAN device, that's why (conventionally for SAN) reliability, fault tolerance and extra functionality, which is one of those things users of SAN are so used to, were made to be the corner-stone of the story. If one needs a fault tolerant and scalable solution which will serve as a perfect network storage within the bounds of one data centre, HuaweiSymantec Oceanspace S2600 is a great choice. The strong points of the device are stated below. Two controllers function according to active-active scheme. Doubling of fans and power supply units. An internal battery which serves in order to avoid any data loss. A blow-by-blow installation, setting up and usage manual. 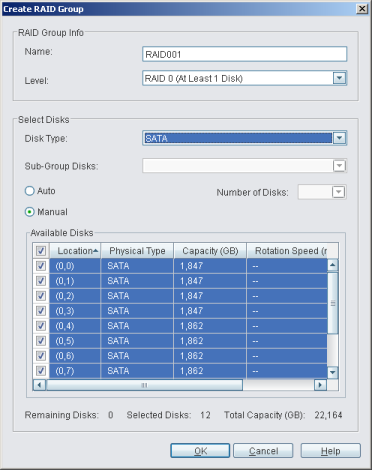 Capability of scaling the storage system through using extra disk enclosures. A lot of extra accessorizes. 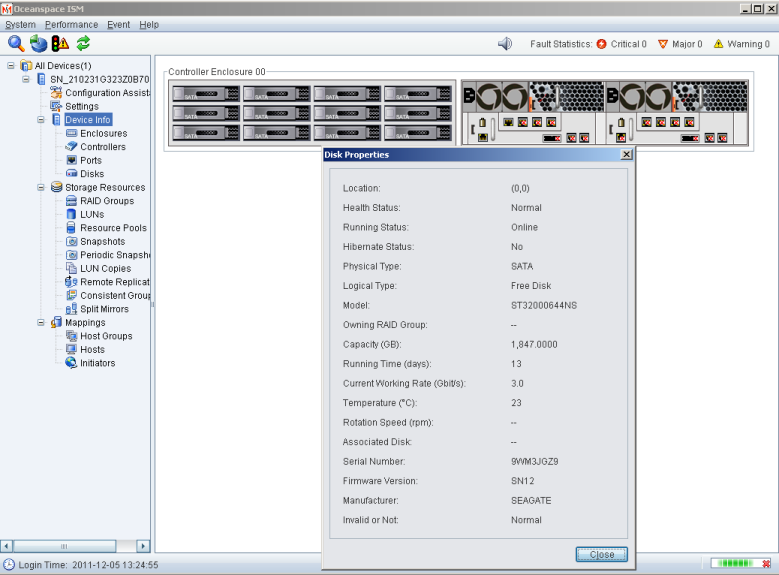 Capability of setting up controllers with FC, iSCSI and SAS ports. Unfortunately, there is still some room for improvement, and we can't help saying a few words about the disadvantages detected. Absence of the possibility to hot backup the whole device. 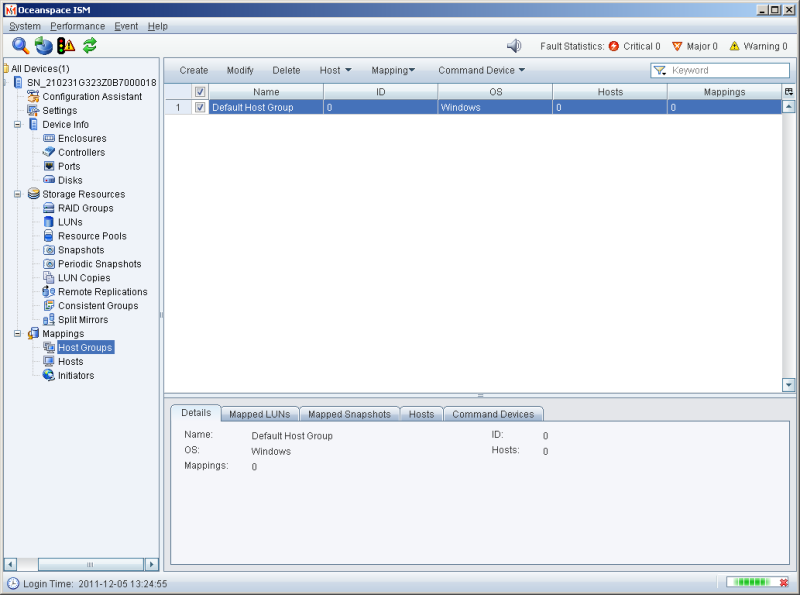 Presence of open FTP and TFTP services in user ports. The moment this article was being written, the recommended price for HuaweiSymantec Oceanspace S2600 in the testing configuration was 300,000 roubles. An S2600 model with just one controller is also available, as well as without any discs or only with the few of them. The price for the cut versions begins at 150,000 roubles. The author and editorial team return thanks to an official distributor of the HuaweiSymantec in Russia, Tayle company, for the testing equipment provided.